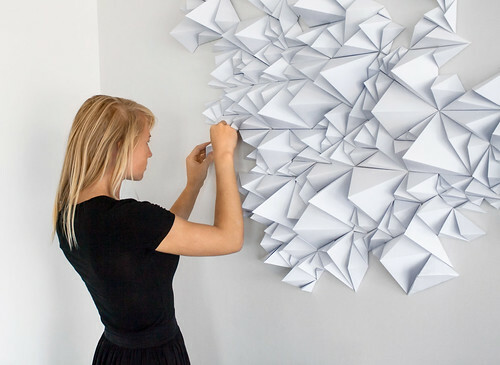 Anna Trundle of ALTA Papercraft is a papercraft engineer in Melbourne who creates geometric folded paper sculptures as wall art. 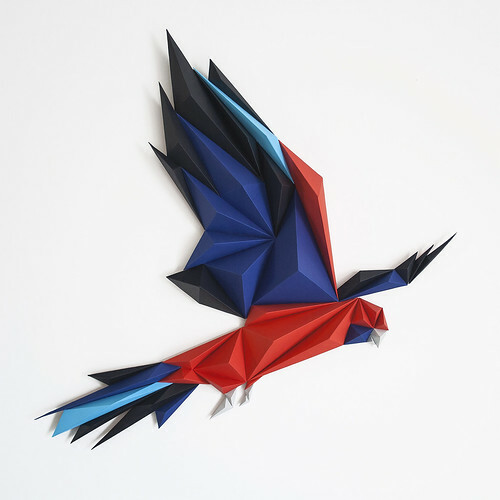 Australian birds have been a focus, but it's safe to say she can turn just about any animal or object into a colorful, dimensional illustration by combining digital and handcrafted techniques. 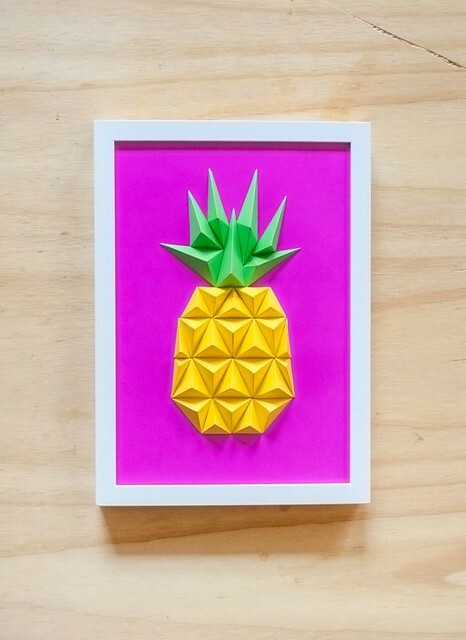 I'm loving the sharp angles of this vivid, on-trend pineapple. Large-scale installations for exhibitions and events are another one of Anna's talents. 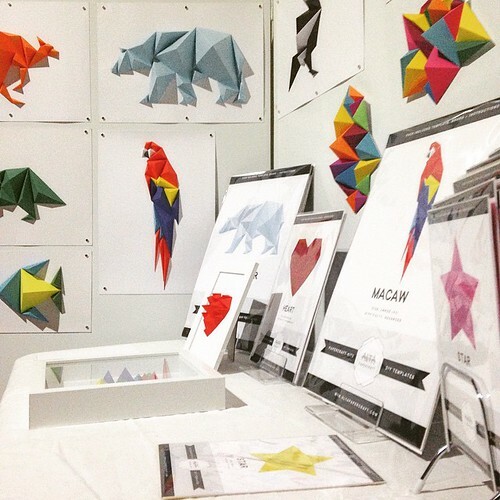 In addition to creating site-specific designs and instructing paper craft classes, Anna has been busy creating DIY kits to sell at local markets. These kits are proving to be very popular and will soon be available worldwide when she launches an online shop in October. You can sign up to be notified of the opening and will receive an introductory discount to use toward your first purchase. She was interviewed on Creative Unleash very recently, so rather than my reinventing the wheel by asking similar questions, visit that post to learn more about Anna's design process. 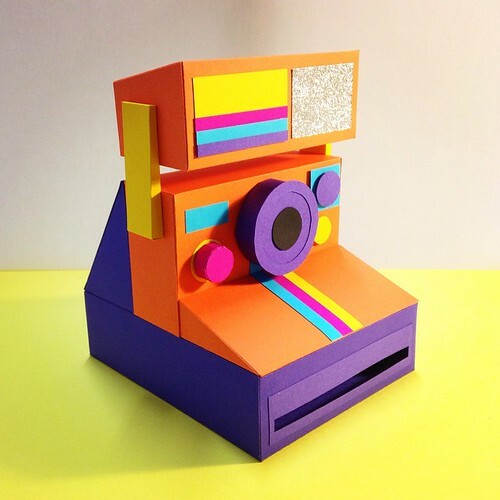 The color-coordinated paper objects in the two photos above were made by Anna to illustrate a stop motion video for Etsy-Australia's Creative Courage Challenge... it's a delight! 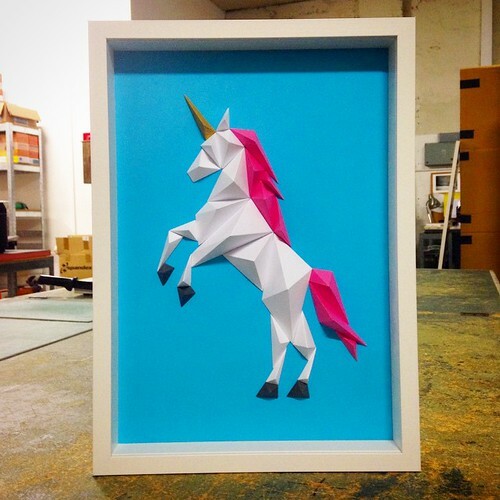 Find ALTA Papercraft on Instagram and Facebook. 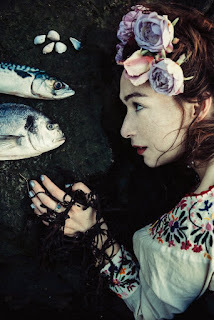 And speaking of stop motion, Irish singer/songwriter Ríona Sally Hartman created a video to go along with the release of her new album Big Starving Thing. 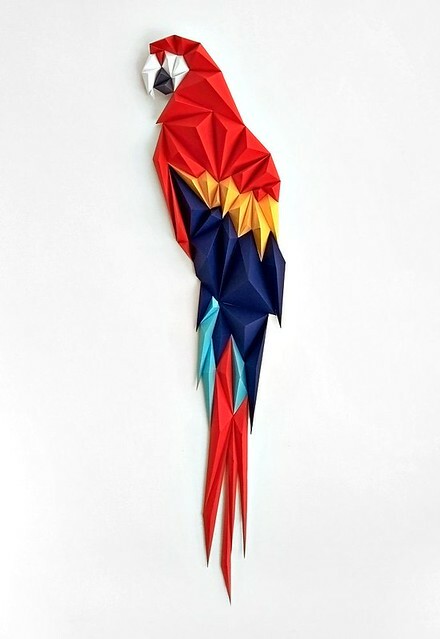 It features her own cut paper sculptures that I find mesmerizing in their kaleidoscope-like movements, while the song Show Me is the kind that gets stuck in my mind in a good way. Riona describes the video: The paper sculptures are of various 'creatures', some more abstract than others, and the video was made with a stop motion app on my phone. Very high tech! 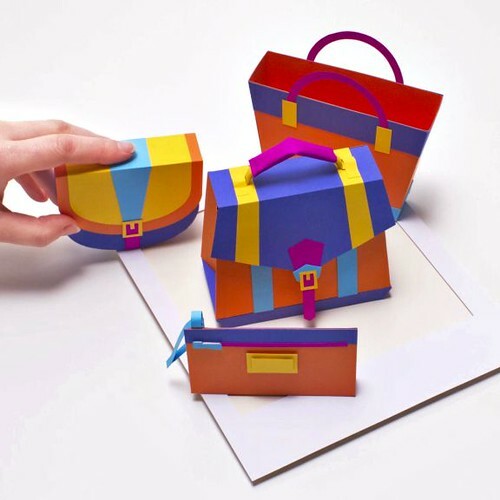 Beautiful paper sculptures and especially the brilliant colours Anna uses is remarkable!! Lovely video! How can I buy one of those? They are spectacular! Lalipelu, it looks like Anna's online shop isn't open yet, but you could try contacting her via FB or IG to inquire about making a purchase.